PURCHASE A LIFESTYLE -WITH THIS ACRE+ LOT & IMMENSELY CHARMING HOME . MAIN HOME IS 2473 sf w/3 bdrm/2ba & GUEST HOME IS 635 sf w/1 bdrm/1ba for a total of 3108 sf. 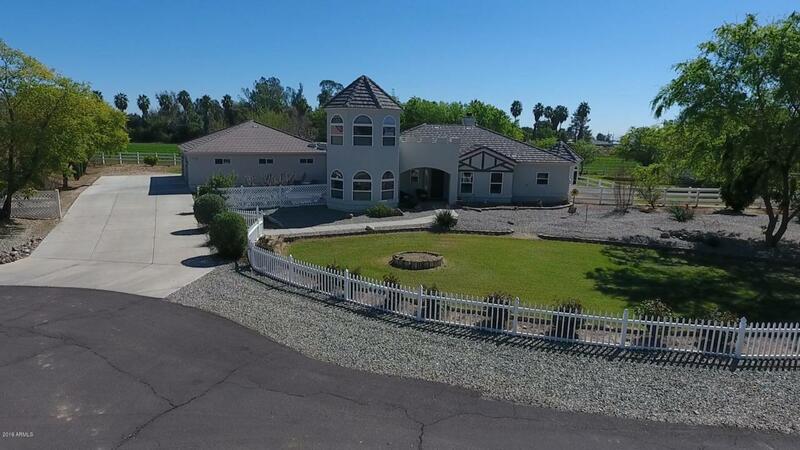 Looks like a castle-but much more comfortable & functional), offering peace & tranquility, with mtn views, lush green surroundings, roses, fruit trees, & the option of having your own horse ranch or farm with chickens, cows, llamas, etc. Need a guest home? Got it, with a kitchen, bedrm, living rm and bath. Need a 4car garage? Got it! Need a place for the kids to run & play? Got it. Need a relaxing jacuzzi tub at the end of the day? Got it. Need a lrg kitchen for baking or entertaining? Got it. Need a large family room + a formal dining room? Got it. Click on the more tab view more amenities and details.